Not all quadrants are equal. There are significant tax advantages to working in the B and I quadrants. They desire security, and they seek out a lifestyle that will provide them with this. They shy away from risk and subsequently, they see no need to become educated in the tools of finance. They seek out benefits with their jobs. They do not like to have their income be dependant upon other people. A lower sense of entitlement here. They have a “Nobody does it better than me” mentality. This group would include doctors, lawyers, and all others who are self-employed. Independence is very important to this group of people. This group often has a hard time finding good work because they have such a high standard. Their income is directly tied to how much they are working, meaning they effectively own a job. They hire competent talent and then delegate as much as possible. They recognize their own inability to perform all tasks well, so they hone their ability of finding and cultivating talented people to work for them. Individuals in this group know that if they left one of their businesses, that in a year they could come back and find it more profitable and better running than when they left. Being a successful B requires ownership or control of systems and the ability to lead people. These people are most adept at making money work for them. And if at all possible they are using other peoples money. They receive huge tax advantages. The wealthy receive 70% of their income from investments and less than 30% from their wages. The goal of all entrepreneurs should be to grow your assets to the point where the cash flow from all of your assets would be greater than your living expenses. Wealth – The number of days you can survive without physically working, and still maintain your standard of living. Warren Buffet says that portfolio concentration is better than diversification. This allows for specialization. Bearing risk is a necessary component of becoming wealthy, therefore it is something to understand and manage as opposed to flee from. On the left-hand side of the CFQ, you have security, on the right-hand lies freedom. Financial Intelligence is not so much how much money you make, but how much you keep, how hard that money works for you, and how many generations you keep it for. The reason many people struggle financially is that the more money that they make, the more taxes and interest on the debt they pay. The rich know that the best way to avoid taxes is to generate income out of the B and I quadrants. Most people focus on income instead of investments. Looping between the B and I quadrants is the best way to make money, although there is a significant difference between the two. It should not be assumed that you can instantly jump from B to I. Investing is capital and knowledge-intensive, don’t try it if you have none of either. It is best to become a successful B before attempting to be a successful I. Franchises are for people who do not want/know how to build their own systems. By buying on a pre-existing and tightly controlled system you can focus on developing people rather than the system. Managers often see their people as inferiors, leaders must direct people who are often smarter. To be successful you need to overcome the fear of being rejected and learn to lead people. You may lose two or three companies before you build a successful one that lasts. Banks don’t lend money to people without systems. Typical consumerist behavior, redline spending. Methodical and litigious in tracking their finances, but to risk-averse to achieve a high ROI. Often waste time being tightwads while neglecting to brush up on financial intelligence. i. This investor has convinced himself that he doesn’t understand money and never will. ii. They let their money sit and do a little in their retirement plan or turn it over to a financial planner who recommends safe diversification. i. This person is always slamming various investments. iii. They are influenced by emotion and consequently buy and sell at the worst times, although they keep their losses to themselves. i. They use “sophisticated” investments techniques such as margins, puts, calls and options. ii. They jump into the game without knowing the rules. iii. They are in reality lazy when it comes to investing. They are aware of the need to invest and they have a clearly laid out long-term strategy. They take advantage of periodic investing and, whenever possible, invest in a tax-advantaged way. They likely are not investing in real estate, businesses, and other higher yielding vehicles. They have control of their spending habits and minimize their debt and liabilities. They are mature, focused and diversified. They have learned from experience including mistakes. They are buying investments at wholesale rates and put their own deals together. They risk less than 20% of all their capital in speculative ventures. They study on a regular basis and actively participate in the management of their assets. Their main focus increasing their asset base, minimizing tax burden and creating long-term wealth. They personally own little and nothing is found in their name, they use corporate shells, which they control, to transact their business. They spend a small fortune on professional advice. This person makes money by orchestrating other peoples money, talents and time. True capitalists create investments and sell them to the market. They know how to manage risk and make money without money. Anyone seeking to become a 6 or a 7 must become a 5 first. It’s the things you can’t see that are the most important aspects of a deal. What is your cap rate? What is the HOA’ history regarding the rate of assessments? What percentage will you use to compute the rate of repairs? If money is not first in your head, it will not stick in your hands. Your advisors can only be as smart as you are. If you are well educated, competent advisors can give you sophisticated financial advice. If you are financially naïve, they must offer you only safe and secure financial strategies. Assets put money into my pocket, a liability takes money out of my pocket. Even if a house is paid off, it’s still a liability. People pay for repairs on their house and their car with after-tax dollars. Tax-lien certificates – You purchase someone else’s mortgage debt. In the banking industry, a seven-year average is used as the life expectancy for a mortgage. The more people you are indebted to the poorer you are, they more people are indebted to you the richer you are. If you take on debt and risk you should get paid for it. A good deal makes sound economic sense in good times and bad. You have to be able to discern fact from fiction, being able to read and interpret financial statements is one way to do this. If you can not read the numbers ultimately you are at the mercy of whoever is reading them for you. I’s will look for an opportunity to invest in an asset that produces more money. People who are high-level investors are not concerned about the market going up or down because their knowledge will allow them to make money either way. If you can not read the numbers, you have to take someone else’s opinion. Having financial vision lowers your risk. Being financially blind increases risk. The bigger the project and the faster you want to succeed, the more you need to be accurate. If you want to get rich slowly, or just work all your life and let someone else manage your money, then you do not need to be accurate. The faster you want to get rich, the more accurate with the numbers you must be. Chapter 8 – How Do I Get Rich? To go from wage slave to wealthy, require changing your outlook not just your actions. Your thinking must change before your actions can fall inconformity with wealth building practices on a consistent basis. The fear of losing money is a source of much financial struggle for most people. Their risk tolerance is shot because they have no stomach for taking a loss. One bad investment ad they feel totally burned as if that proves investing as a whole is a bad idea. Difference between E and B, one wants more pay and the other wants more work. Difference between B and I, one wants more money to operate with, the other wants more dividends. Intelligence is also knowing when to quit. Too often people are stubborn about pressing on with projects that clearly need to be dumped. The reason things look so risky on the right side of the Quadrant to people on the left side is because the emotion of fear is often affecting their thinking. The Tax Reform Act of 1986 took away many of the tax loopholes that, on the left side of the Quadrant depended on. On the flip side, while folks on the right side of the Quadrant were affected, many of their tax avoidance mechanisms were left intact. Three things happened to the people on the left side of the Quadrant. They lacked a cask machine. The transfer of wealth from the left to the right side is constant, and unending. Many people will look for some one to blame for their financial plight, usually this ends up being wealthy people. If you want to be a leader on the right side of the quadrant, a historical view of economic history is important. Add to this studying the great leaders of capitalism such as Ford, Rockefeller, Morgan, etc. Pricing- Mortgage payments may be lower than fair market rent for many properties. Financing – The banks will loan on real estate but not on stocks or many other forms of investment. Taxes – Profit from real estate transactions can be rolled tax-free into your next real estate transaction. On top of that, the property can be depreciated for even greater tax advantages. Rent – If rent prices maintain amidst the depressed home prices you will be ensured a steady cash flow stream. Most wage earners earn, get taxed and then spend. Whereas if you pass your income through a corporate entity first, you can earn, spend and then get taxed on the remainder. Plan on meeting resistance when you try and structure deals custom to you needs. You will likely hear, “You can’t do that”, repeated often. Always seek the best professional and financial advice you can find. Never do business or make an investment merely for the tax benefits. A study was conducted on how people who born into poverty eventually became wealthy. Its findings revealed these common factors. They maintained a long-term vision and plan. They believed in delayed gratification. They used the power of compounding in their favor. The study also found what took people from wealth to poverty. They have a desire for instant gratification. The abuse the power of compounding. People with no assets are usually working from paycheck to paycheck. 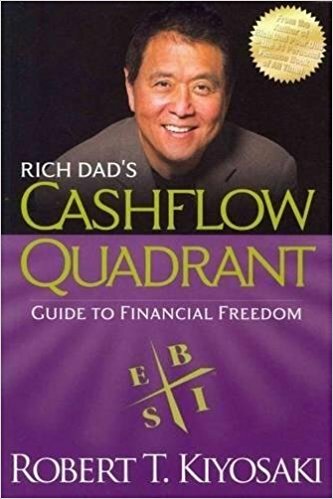 Develop the thought pattern of thinking only in assets and income in the form of capital gains, dividends, rental income, residual income from business, and royalties. For every liability you have, you are somebody else’s asset. Every time you owe somebody money, you become and employee of their money. Good debt is debt that someone else pays for you, and bad debt is debt that you pay for with your own sweat and blood. Part of Financial Intelligence is possessing the ability to convert cash or labor into assets that provide cash flow. The direction of your cash flow is extremely important. Type A investors look for problems where opportunity bounds via creating solutions. These people take on more risk but are more able to manage that risk. Type B investors want to be told where to invest their money, preferring to remain less educated and more dependant on others advice. Take action steps to getting on the investment fast track. Attend financial seminars and classes. Do practice market research in the areas would where you would like to invest. Subscribe to investment newsletters and study them. Meet with several business brokers to see what existing businesses are for sale in your area. Attend business opportunity conventions, or trade expos in your area to see what franchises or business systems are available. Leverage the positive and negative experiences of your mentors as learning tools for yourself. The people you spend your time with are indicative of your future position in life. Your asset column must always be larger than your liability column. When people are lame they love to blame. Be prepared to deal with disappointment in life and Have mentors standing by for when it happens.